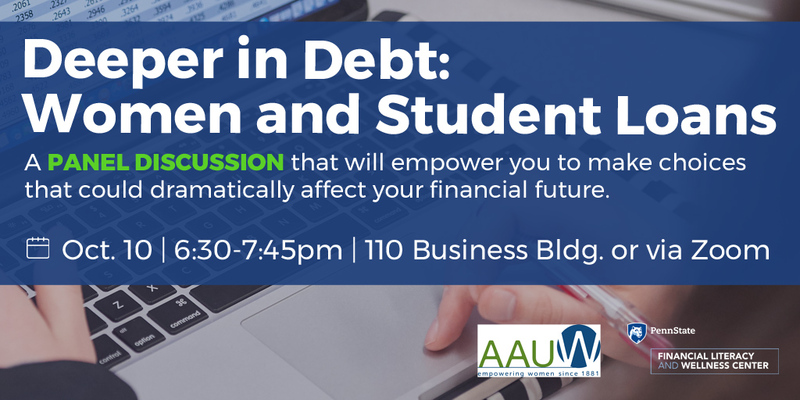 Everything you need to hold a public event to highlight the Deeper in Debt: Women and Student Loans research is on this page. For information about the State Programs and AAUW-PA will assist you to hold one of these programs, please click here. Start here. This guide provides the purpose of the event, project details, and various tools and resources for implementing the program. Instructions on how to customize the AAUW Informational Template for your event. Template handout that you customize for your event. Optional handout that succinctly lays out sources of financial aid for college students. You can copy and hand this out to your attendees for background information on college financial aid and how student debt is incurred. The PowerPoint presentation for the event – needs to be customized, see separate instructions. Provided are a few templates and some information for advertising your event. This is the press release from the national AAUW office. You can use all or part of this information to build your press release and customize with your event logistics (time, place, etc.). The information in this press release can also be used as talking points for a local radio or TV interview or content for a Public Service Announcement (PSA). State College branch has offered a template you can use to create a press release/media release. In this document areas shaded in grey would need to be customized to your event. The State College branch has offered a template for your use to advertise the event. Indicated on the flyer are places you need to fill in for the date, time, place of your event and any special features. If you are using an online registration option, there is a place to provide this information. 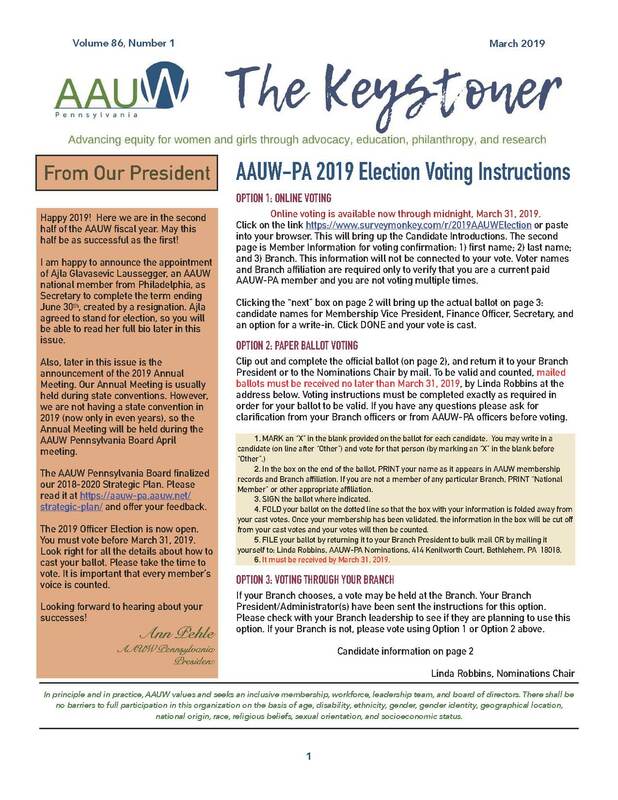 If you need help in creating this flyer or finding your branch logo, please contact Ann Pehle, AAUW-PA Co-Chair Public Policy, aauwpapp2@gmail.com. AAUW-PA Public Policy Co-Chair Ann Pehle will create an email blast to be delivered to AAUW Action Alert subscribers within a 25 or 50 mile radius from your event location. Contact Ann at aauwpapp2@gmail.com. This service requires a two-week lead time before the email can be sent. Please see the Event Guide for additional ways to publicize and market your program. AAUW State College held an event on October 10, 2017 attended by 72 people. Below are documents for you to review and use as appropriate.